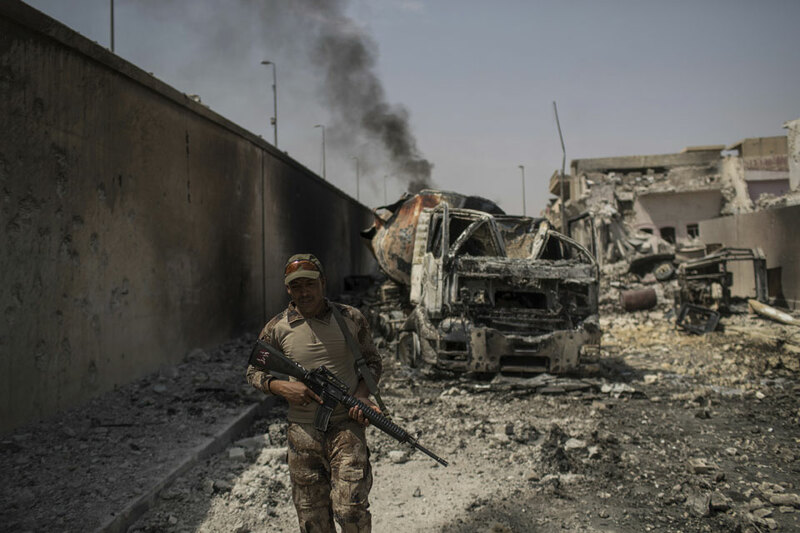 MOSUL, July 9: Iraqi commanders said Saturday their forces are "tens of meters" away from defeating the Islamic State group in Mosul, a day after a major counterattack by the militants. The Joint Operations Command "our units are still continuing to advance... Not much is left before our forces reach the river." Iraqi officials have made similar pronouncements over the past week as security forces have bottled the militants up in a sliver of the Old City along the Tigris River. But the troops' progress has slowed in recent days. The militants hold less than one square kilometer (mile) of territory, but are using civilians as human shields, making it nearly impossible for U.S.-led warplanes to flush them out. On Saturday the militarized Federal Police announced that they had cleared their assigned sector, while the regular army and special forces continued to battle the extremists. Some units remain up to 150 meters (yards) from the river. The operation to retake Mosul, Iraq's second largest city, began in October. The battle for the Old City, with its narrow alleyways and dense population, has been among the most brutal of the offensive. IS seized Mosul in the summer of 2014 when it swept across northern and central Iraq. That summer the group's leader, Abu Bakr al-Baghdadi, made his first and only public appearance at the al-Nuri mosque in Mosul's Old City. The militants destroyed the mosque and its famed minaret as Iraqi forces closed in last month.